I have been following the exciting development of Toronto Transit City for a few years now. Last April, the Ontario Provincial Government committed 9 billion dollars to the project. I was happy. This year, according to the Toronto Star, the “Transit City plan for above-ground light-rail lines was just kneecapped by the recent provincial budget, which indefinitely postpones $4 billion from the scheme.” This makes me sad. You can read more in the Toronto Star. 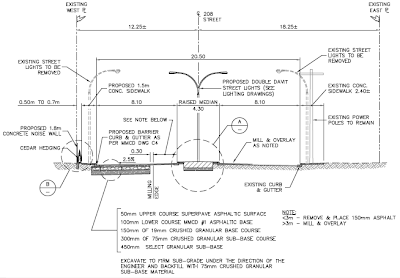 On March 19th, I posted about how there will not be dedicated bike lanes on the upgraded section of 208th Street between 52nd Avenue to Fraser Highway due to cost; there will be wide curb lanes. 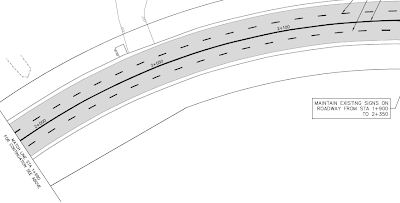 I also noted that the current plan does not have any markings or signage for this section to indicate that the curb lane is for bikes and cars equally. I had a chat with people at Langley City Hall and I am happy to report that they haven't forgotten about the bicycle in this section, but are waiting for a report on what kind of markings and/or signage would be best for this section. I'll keep you posted. Looking at the last 10 year, there are only a few employment sectors that have seen a decline in BC: Forestry, Fishing, Wood Product Manufacturing, and Paper Manufacturing. Most of these jobs happen to be in rural BC. In a effort to provide employment for British Columbians outside of major centers, the government has been spending big dollars growing the oil and gas sector. Having grown up in the Interior I’ve seen the decline of the forestry sector first hand, but I have to wondering if trading forestry (which is actually sustainable) for mining, oil, and gas is a good thing. 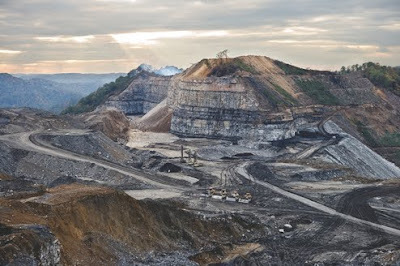 The resource sector in BC is notorious for its boom and bust cycles; mining and oil and gas extraction are not sustainable period. So what are we to do? 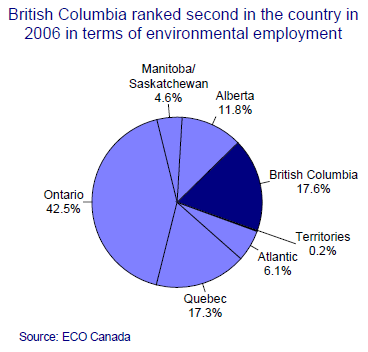 I found a great paper called “Measuring Green Collar Jobs in British Columbia” from BCStats. Given this burgeoning environmental sector, it would be useful to know just how many jobs it supports. Unfortunately, deriving a count of “green” jobs is not a simple matter. There is the difficulty of not only developing a definition of what comprises a green job, but also of coming up with a definition that allows for relatively easy measurement. Globally, it is estimated that the market for environmental goods and services is around US$1,370 billion per year and will double by 2020. So how did we do in BC? We have 17.6% of all green jobs in Canada. That translates into 93,462 job which is more than double the amount of people working in the Forestry, Fishing, Mining, Oil and Gas! Schrier goes on to say that Canada lags behind the rest of the world in the production of environmental goods and services. So where is the better place to invest money as a government to support rural BC. The unsustainable oil and gas sector or the fast growing green job sector? 1. Payment In Lieu Information for the Township and City of Langley: How does the Port “pay” for externalities in communities like Langley? As a federal agency, PMV does not pay property tax. If Port lands are occupied by a tenant, then that tenant pays full municipal taxes. In full recognition of the benefits afforded to us by municipal governments, the Port Authority elects to make payments in lieu of taxes (PILT) on lands that are vacant. Recently the three area port authorities amalgamated to continue as Port Metro Vancouver. Following port amalgamation in 2008, we recognized there are some differences in approaches that need integration, including to payments in lieu of taxes. We are currently developing a new integrated and consistent PILT policy following amalgamation, and will be advising municipalities of those changes. o Reduced sound pollution as train whistling would no longer be required for extended stretches on the corridor. 2. There is no example in the world of road expansion in major urban areas that provide long term congestion relief without other measures being put in place (road price, etc.). With that in mind, how will the Port work to ensure that goods movement has priority once the roads fill up again, and protect this “generational investment” so we don’t have to go through all this again? The best way to ensure that goods movement has priority is to make sure that we share an open communication network with all of the organizations involved. By developing a clear agenda between the Gateway Program, the BC Transit Plan, the Provincial Government, the Federal Government, Port Metro Vancouver, Translink, BC Trucking, the Gateway Council as well as many of the surrounding municipalities, we will be able to set logistical goals and develop solutions for any challenges we may face in the future. Through our open communication channels we will be able to work proactively to ensure the prompt and efficient movement of goods in order to protect this “generational investment”. 3. What percentage of GHG emissions are reduced by a.) Shore Power and b.) The tiered Harbour Dues System? a) The impact of shore power on GHG emissions does depend on how long ships are connected while in port. In 2009, PMV completed 11 test connections, meaning that the ships were not connected for the entire duration of their visit. During this time, there was an average in 48% reduction in all emissions, including GHGs. Based on these tests, and on how quickly each ship connects and disconnects, emission reductions could potentially be in the range of 90% per call. At PMV this means a potential reduction of 90% of all engine emissions per cruise ship connected to shore power, per call. b) The Harbour Dues Program was not designed to target GHG emissions in particular, but focused on incentives for reducing criteria air contaminants, particular sulphur oxides and particulate matter. However, one of the purposes of this program was to encourage early adoption of lower emissions alternatives ahead of international shipping regulations. The Program therefore also incents the reduction of GHG emissions as co-benefits by offering reduced harbour dues for shore power, use of natural gas and use of biodiesel. 4. Is any of the modeling for Rail Traffic available publicly? 5. Is any information on the Patullo Bridge Rail/ Road available publicly? After assessing the existing bridge, Translink has came to the conclusion that it will build an entirely new bridge rather than invest more money into the existing structure. Maintenance will continue on the existing structure while this 10 year project takes place. 6. Do you have any information or a report about the need for replacing the New Westminster Rail Bridge? The New Westminster Rail Bridge will be replaced as it was built in 1904. It now accommodates 30 million tonnes of cargo to and from the Burrard Inlet. The estimated replacement cost is $110 million. 7. What is the Port doing to protect environmentally sensitive areas in which it operates? There are many environmental initiatives that take place in areas where the Port operates. Some examples of these are Northwest Ports Clean Air Strategy, Differentiated Harbour Dues Program, Land Conservation, habitat mapping, and much more. We are also involved with the Fraser River Estuary Management Program (FREMP) and the Burrard Inlet Environmental Action Plan (BIEAP) in order to ensure proper management of these two significant aquatic ecosystems in the Lower Mainland. A 20% increase in the number of buses since the plan was implemented, and a 35% increase in the annual total hours of service. Improved minimum 15 minute service, 7 days a week on King George Highway (Boulevard), Fraser Highway, Scott Road, 72nd Ave, and 104th Ave.
As a transit users, I have seen the great improvements in service out here, but we still have a huge service gap when compared to communities in the Burrard Peninsula. The regional transportation authority is asking the public for input into what type of rapid transit would best serve the south of the Fraser region, including Langley. The Olympic Line Streetcar has really opened up people’s eye to what modern light rail can look like. It has also excited people once again about the prospect of light rail in the South Fraser. The friendly staff at the City of Langley forwarded me the drawings for the 208th Street project which you can see in this post. 208th Street between 52nd Avenue and 48th Avenue. Click image to enlarge. 208th Street between 52nd Avenue and Fraser Highway. Click image to enlarge. I wanted to highlight some information from the drawings. The bike lanes run from 52nd Avenue to 48th Avenue. From 52nd Avenue to Fraser Highway, due to cost saving measures, the City decided to go with wide curb lanes. 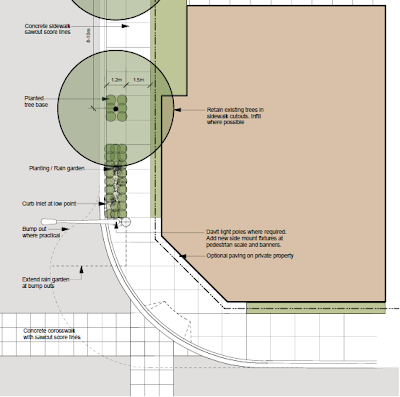 What is interesting about the drawings is that they make no mention of marking the wide curb lanes with a bike symbol. Marking the lanes is a notice to motorist that they are using shared space. Besides adding bike lanes, there are many other good changes happening. The lighting is moving to the middle of the road. This will get the lamp standards out of the sidewalk and out of pedestrian’s way. They are adding a raised median which will improve safety. If the median is planeted with strong vertical shapes (like trees) it can actually lower speeds. The City has also gone with 10 foot lanes which are just as safe as 12 foot Ministry of Transpiration size lanes without taking up an additional 8 feet of right-of-way. You can download a copy of the letter that South Fraser OnTrax is sending to the City of Langley regarding the Anthem Properties development that I blogged about on Wednesday. As you man be aware Anthem Properties is planning to develop a office/retail complex at the corner of Glover Road and the Langley Bypass. 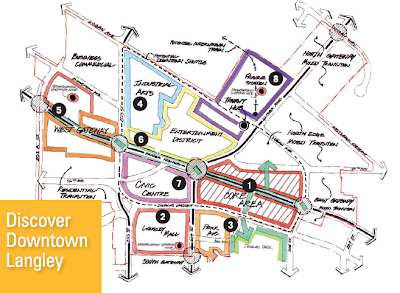 The Downtown Langley Master Plan – Phase III states that Glover Road is a Gateway Street into Downtown Langley. This is the first development that could put the Gateway Streets plan into practice. As it currently stand, this development does not have any pedestrian access off Glover Road and essentially “turns its back to the road.” A current example of this is on 208th Street and Fraser Highway. It creates a hostel pedestrian environment and goes against CPTED standards. 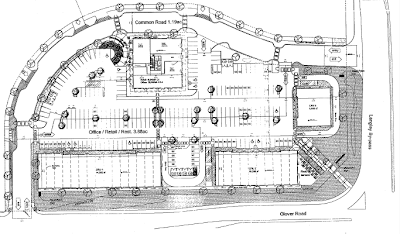 Having the retail units with pedestrian access off Glover Road will create a safe, welcoming, and pedestrian friendly entrance to the City and this development. The Glover Road facing part of this development should get the full “Gateway Street” treatment as outlined in the Downtown Langley Master Plan. Given the proximity of Kwantlen University and major residential developments on Duncan Way, it will be worth the while. In some good news, the City of Langley is currently repaving 208th Street from Fraser Highway to 48th Avenue. Initial there was going to be no improvement to the awful bike path on the west site of the road. Due to Infrastructure Stimulus Funding, the old bike path will be replaced with proper bike lanes from at least 52nd Avenue to 48th Avenue. I’m checking to see if the bike lanes will extend to Fraser Highway and the Langley Bypass, as it could tie into the bike lanes being built on the new bridge in that area. It is good to see bike lanes being added as new road projects are being built in the City. Today Langley City is a patchwork of cycling infrastructure, and it will take a financial commitment from City Council to see any continuous bike lanes through the City. We had a great meeting last night with Eliza Olson who is the Founding President of the Burns Bog Conservation Society. Olson has a laundry list of awards including: Queen’s Jubilee Medal, Canada125 Medal, Canadian Geographic Silver Award for Conservation, Earthday Canada’s Hometown Hero, and Delta Chamber of Commerce Citizen of the Year for 2006 to name a few for her work on preserving Burns Bog. She gave us a general overview of the eco-logical importance and the history of the bog. I invite you to listen to the audio and view the presentation below. For example: approximately 4% of the world’s ice free land area is bog, however bogs are estimated to contain between one quarter and one third of the world’s pool of soil carbon. Also about 98% of a bog is water. The Burns Bog is basically the great filter of Metro Vancouver. Right now public access is not allowed on the main part of the bog. Olson would like to see controlled public access so people can see first-hand what the bog is and contains. Burns Bog is also a treasure trove of ecological diversity. Unfortunate, the Bog is under threat from the South Fraser Perimeter Road which I’ve blogged about in the past. To date the road is causing the introduction of common grass into the delicate ecosystem of the bog, wiping the Red-backed Vole off the face of the planet, goes through breeding grounds in the Pacific Flyway, and is affecting the sensitive hydrology of the bog due to pre-loading of the ground. You can check out a full list of issues on the Burns Bog Conservation Society's website. I should point out that the society doesn’t oppose the road, just the alignment of the road. On the human front, over 70 homes have been bulldozed over in Annieville and Sunbury; wiping out a century of history. According to Olson, the brief submitted on the SFPR to the BC Environmental Assessment Office states that the road will help the economy by providing more jobs in the health profession due to pollution from the road. On the bright side, the Bog has the ability to regenerate over time in the right conditions. Update: 3% of the earth's surface that is covered with peatlands not 4%. International Mires Conservation Group's website is a great resource for information on bogs. Tonight South Fraser OnTrax will be hosting our monthly meeting. We will have special guest Eliza Olson who is the founding president of the Burns Bog Conservation Society. She will be speaking on the importance of Burns Bog for the ecosystem in Metro Vancouver and some of the challenges that it currently faces. This is sure to be an informative night. See you tonight! Download a copy of the agenda from the document archive. Over the last few years, the Centre for Sustainable Transportation at the University of Winnipeg has been developing ‘Child- and Youth-Friendly Guidelines for Land-use and Transport Planning.’ The Guidelines are primarily for the use of municipalities, specifically councillors, their planning staff and consultants. This work is funded by the Public Health Agency of Canada, whose interest is in fostering environments in which children and youth are more active. The aim is to have one set of Guidelines for all of Canada, but a different Guidelines document for each province, reflecting particular circumstances and legislative contexts. Each provincial document is being developed through a process of consultation, including numerous meetings with officials, sharing of drafts, and one or more workshops. This is a note to let you and your colleagues know that a new, near-final draft (Draft 5) of the British Columbia version of Child- and Youth Friendly Land-Use and Transport Planning Guidelines can be downloaded from the project’s Web site at http://www.kidsonthemove.ca (click on BC in the list on the right of the home page). There is more information about the project at the Web site. If there is difficulty in downloading the document, contact me at mail@richardgilbert.ca and I will be pleased to email the document. Our deadline for producing all the provincial documents is March 31, 2010, and so we would appreciate receiving comments by March 12. This report uses data from U.S. cities to investigate the incremental costs and benefits of high quality transit service. It indicates that high quality public transit typically requires about $268 in additional subsidies and $104 in additional fares annually per capita, but provides vehicle, parking and road cost savings averaging $1,040 per capita, plus other benefits including congestion reductions, increased traffic safety, pollution reductions, improved mobility for non-drivers, improved fitness and health. So high-quality transit saves $664 per capita annually in actual cash that you can put back in your pocket. Remind me again why we aren’t building more transit? I have to say that the last two weeks have been lots of fun. Working downtown, I was able to catch some of the party of these games during the weekday. And of course, I went downtown on the weekend. Even Langley shared in the spirit. I regularly saw the 502 from Aldergrove half-full of Olympic volunteers. If I could say anything about these games, it really was the transit games. From the beginning of our Olympic bid, the plan was to get people throughout our region on transit and it worked! Sure there were some lineups and even some hot tempers, but all in all it was a very good experience. I have to thank the people of TransLink (and all the operating companies) for a job well done. In fact, I actually got home in better time on transit during the games than regularly due to the added transit service (even on the 502.) It’s sad that these enhanced services are going away. If there was one transit gem during the games, it would be the Olympic Line streetcar that ran between Granville Island and the Olympic Village Canada Line station. Talk about traveling in style: leather seats, wood paneling, and even leather straps to hold onto when standing. The Olympic Line streetcar really opened people’s eyes to what transit can be. You don’t have to break the bank to have good quality services. I hope people's experience on the streetcar will translate into more streetcars being built in our region and the South Fraser. It will be interesting to see how this factors into the transit funding issue currently facing our region. Will people be willing to pay more money for improved service and expansion? Vancouver actually closed down major roads and things worked great. Getting around in a car wasn’t even that bad. I had to drive around for work during the games and experienced very little delay. So let’s get on with building transit, as the games proved, it's worth every penny. Many have called this Olympics the friendliest games ever and commented on the party atmosphere downtown. This is not chance, but almost by design. Vancouver has a strong sense of place and downtown is all about the pedestrian. Even without the games, downtown Vancouver draws you in. This should be a reminder to our politicians in the South Fraser that building around people is better than building around the car.